It's Victorian London, and K9 is on stage, entertaining the masses at the New Regency Theater, while the Doctor and Romana are making a social call on the Doctor's old friends Professor George Litefoot and Henry Gordon Jago, what could possibly go wrong? Well a fair bit actually. Our three heroes have joined forces with Jago and Litefoot to help stop a major crime spree that is gripping London. The mysterious burgler, known as The Knave has the city on it's knees, the master thief has been performing seemingly impossible burglaries by expertly breaking into locked rooms, and pilfering anything of value. Then leaving silently with the room still intact. There is also the matter of some very strange readings from the TARDIS, and worse of all, something rather monstrous lurking in the fog. The Beast of Kravenos is expertly written by Justin Richards, who, thanks to his raft of previous work in the Dr Who Universe (including the Jago and Litefoot audios for Big Finish) has an expert handle on all of the characters involved. I've not listened to any of the other Jago and Litefoot audios (yet! ), but I must say, the way these two fantastic characters are written here, they could have just walked in from the end of The Talons of Weng Chiang. Of course the realisation of the characters is ably (and seemingly effortlessly) aided by the pitch perfect performances of Trevor Baxter and Christopher Benjamin, who are, of course effectively the straight man and his stooge in the story. If Talons was Who doing The Cabinet of Dr Caligari, then The Beast of Kravenos is Who paying homage to the Strange Case of Dr Jekyll and Mister Hyde, and it does it very well, especially with one of the main characters falling foul of a transformation, turning into a rampaging hairy and fanged beast to great and sometimes comic effect. 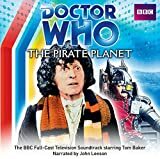 Tom Baker and Lalla Ward are at the best that I have heard them on audio, and along with a great performance from John Leeson, prove that they are absolutely at the top of their game. The chemistry between the three leads is fantastic. This is also an audio that oozes atmosphere. In the value added material it is revealed that although this story is set somewhere in Season 18, at the start of which Peter Howell and the Radiophonic Workshop came in with a new theme and music, the makers here thought that the incidental music from Dudley Simpson would be better, and it works very well, evoking the mood of Talons perfectly. Of course, with Jago and Litefoot front and centre, there is a lot of humour to be had in this audio, from Jago marveling at the fact that the Doctor has traveled with two different ladies, both with the name Romana (imagine!). To when the Doctor is questioning Inspector Quick (Conrad Asquith) as to the location of the monster "Where man!?" he pleads, to which Jago blusters "WereWOLF more like!" The supporting cast of Colin Asquith (who was of course also in Talons)and Ed Stoppard (Sir Nicholas Asquin) are also very good, and their performances only act to enhance this story further. All of this is held together expertly in the directorial hands of Nicholas Briggs, who I think must have had as much fun as the cast. I would recommend listening to the extras on this one as they are absolutely wonderful. I believe that The Beast of Kravenos is the most enjoyable Big Finish audio that I have had the pleasure of listening to so far, and I cannot recommend this Victorian monster romp highly enough. Listen to it and enjoy. The Beast of Kravenos is available now as either an audio CD or a download from Big Finish. Cast: Colin Baker (The Doctor), Miranda Raison (Constance Clarke) Lisa Greenwood (Flip Jackson), Matthew Cottle (Henry Clarke), Joel Fry (Kinvar/Rogers), Oliver Cotton (Major Callahan), Kate Kennedy (Ana), Robbie Stevens (Boyarov/Vilal General). Picking up immediately from the end of AbsolutePower, Quicksilver finds the Doctor and Constance returned to Bletchley Park some months after they originally left at the end of Criss- Cross. For Constance there is bad news in the form of a telegram advising her that her husband Henry who had been absent on a classified operation is now missing presumed dead. However, there is also a reunion in store for the Doctor as this story sees the return of Lisa Greenwood as popular companion Flip Jackson. 2014’s Scavenger ended with Flip falling through the earth’s atmosphere. She then reappeared in an episode of TheSixthDoctorTheLastAdventure set at an earlier point in her travels with the Doctor, allowing the Valeyard to tease her eventual fate. However, the ambiguity had already been cleared up in The Widow’s Assassin, in which the Doctor revealed to Peri that he had intervened to save Flip and take her back to 2012, and had subsequently received an invitation to her wedding. Flip’s wedding invitation makes a reappearance as a convenient plot device to allow for her to be brought back in time in what seems an almost too obvious nod to the 2006 Christmas special The Runaway Bride. The Doctor and Mrs Clarke meanwhile, are caught up in an alien invasion plot which conveniently links to the undercover project codenamed Quicksilver which Lt Cmdr Clarke was working on. This allows for a convenient transposition of events forward a few years in time to post-war Vienna, in which Matt Fitton effortlessly evokes the spy-movie atmosphere of The Third Man. After the slightly hit and miss antics of the previous play, this story is back on solid ground with clever use of characters and settings. In particular, the device of keeping the Doctor separate from both of his erstwhile companions for a large section of the story is well-used. Instead Constance and Flip are inadvertently paired together as a wonderfully chalk and cheese team who end up complimenting each other very well, sharing scenes which are an enjoyable contrast to previous occasions where past and present companions have met up. As usual there is a reliable supporting cast with particular mention going to Matthew Cottle for bringing to life Constance’s much talked about husband Henry who has formed the centre of her story arc since her first appearance in 2015. Despite emerging as an unsympathetic character, he plays in very well in scenes with Miranda Raison’s Constance, allowing for a worthy conclusion to this stage of the character’s journey. With the ending suggesting that, for a brief time at least, Colin Baker’s Doctor will, for the first time ever, have two companions in the TARDIS simultaneously, it seems that Big Finish are continuing to keep him in the excellent storytelling to which he has become accustomed. Overall, 2016’s main range releases have generally been a very strong collection of stories with much to recommend them. Quicksilver has rounded them off on a high note which has left this reviewer very keen to hear what will happen next. Now, please reader - don't judge me, I need to start this review by saying that I have never listened to a Big Finish that featured Bernice Summerfield as the companion (I'm still a relative Big Finish novice - but thanks to DWN, I'm getting there!). I was, of course, aware of the character, and it was a pleasant surprise for me to read that Lisa Bowerman has been playing the role since 1998. The character herself was of course created by Paul Cornell as a literary post-Ace companionin the New Adventures back in 1992, but I'm sure that you all know this already! I was actually blown away by the character of Bernice, someone who in this story has a very established relationship with the Doctor. Lisa Bowerman voices the story very well (have a look at the credits - Bowerman also directs this story! ), she gets McCoy's very Scottish 'burr' spot on. Bernice Summerfield is obviously a very feisty character who has no problem taking chances and standing up to the Doctor when the need arises. jigsaw puzzles with missing pieces of blue sky. He is portrayed essentially as a child at Christmas, which I think quite fits the character. Bernice is there to make weary excuses for his odd behaviour, and to put him back on the right track, just like one of his broken train-sets. The vocal ticks of the Doctor are excellently realised, and you can imagine them all fitting neatly into a McCoy episode. "Ah! Corridors!" particularly made this listener smile. The story is cleverly book ended by Summerfield visiting a robotic therapist. She wants the therapist to help her forget the Doctor, to remove all traces of him from her mind. Now with a genius lead-in like that, I was instantly drawn into the story. I was needing to know what had happened to make Bernice want to erase all trace of the Time Lord from her life. There are plenty of surprises, and beware - the story does veer from fluffy Christmas, to something rather disturbing quite quickly - oh - and the final reveal is a joy. The Hesitation Deviation is written by James Goss, who of course is more than adept at jotting out the odd short story for Big Finish. He knows the material so well, you know you are in safe hands. The running time is a very brief 35 minutes, but this only makes things more tense. Download it and have a listen, I promise that if you are a fan of Sylvester McCoy interpretation of our favourite Time Lord, you won't be disappointed. The Hesitation Deviation is available from Big Finish as a digital download now. AbsolutePower is a solid story from Big Finish’s newest regular director Jamie Anderson who continues to prove his own ability with a competent first full length script for the Doctor Who audio range (having previously contributed the single episode Come Die with Me to last year's You are the Doctor and other stories) and clearly demonstrates that he's not here because of cult TV nepotism. Judging by the comments of other reviewers, this story has clearly been well received and why not when there’s a lot to recommend it. As ever, Colin Baker and Miranda Raison are on sparkling form as the Doctor and Constance find themselves in full-blown detective mode. They head up a cast which includes an enjoyable turn from Paul Reynolds as the morally dubious galactic entrepreneur Lyam Yce. Reynolds has previously appeared in 2008’s FortyFive as the first incarnation of the villainous Word Lord, although for those of a certain age he will forever be remembered as Colin from TV’s Press Gang. Also worth mention are Jenny Bede as Florrie and an extremely impressive debut from Arian Nik as Ammar, a young man who falls very much under Constance’s spell and allows for some enjoyable final scenes. However, when all’s said and done, for this reviewer, something about this story didn’t quite gel as a piece of Doctor Who. Every now and then, we all encounter an episode which, for whatever reason isn’t quite our cup of tea even if we can’t always put our finger on what we didn’t like, so it doesn’t come as a surprise that most others seem to have very much enjoyed this story. I will posture that perhaps there were a few too many rather obviously stereotypical characters woven into the plot which felt as if had more in common with the sort of adventures that Anderson is used to writing, almost as if the Doctor and Mrs Clarke had inadvertently landed in an episode of Captain Scarlet. Most listeners will however find this a very enjoyable listen and it is inevitable that after 16 years of monthly releases, Big Finish aren’t going to manage stunning originality every time but this play is worth persevering with for the ending which segues very neatly into Big Finish’s final main range offering for 2016, Quicksilver. Once in a blue moon, the hardworking, devout people of Zanak experience a 'new golden age of prosperity'. The stars in the night sky suddenly change position, and the economy skyrockets. The natives are assured by their mysterious leader - The Captain - that all this is part of a grand design. But there is an outlier group of which the are wary, contemptuous, even scared. The Mourners. Looking decidedly pale and skinny, they always wander together, and can bring only trouble. Luckily, the Captain's many armed guards are there to ensure that there is no breach of the peace. Now enter three odd individuals, in Zanak's main city, with no warning or announcement. The seeming leader is a toothy, excitable extrovert, with a long scarf and curly hair. With him is a somewhat younger-looking woman, much more smartly dressed, with beautiful looks, and a keen intelligence. And lastly, is a diminutive metallic creature, that has a red visor instead of eyes, a little tail that sways side-to-side, and a rather more impressive nose-laser. The Doctor, Romana, and K9 - as they call themselves - soon make an alliance with a young couple. The male is Kimus: earnest, dedicated and open-minded. The female is Mula: thoughtful, pragmatic and diligent. This in turn leads to the Mourners becoming more engaged in the future of their world, knowing that suddenly a missing piece of information may be missing no more. Soon enough, the mystique over the Captain evaporates. He is far more machine than man, and with a decidedly twisted sense of humour. But he has a plan or three in motion, and many cards in his deck to play. Zanak, and the wider universe, may both end up facing a change of cataclysmic proportions.. This joint release of both book and audio release sees the completion of the Fourth Doctor era into novel form. For many years, three stories were outstanding, and the common denominator was that Douglas Adams wrote the scripts. In the case of The Pirate Planet, Adams was still an unknown quantity in the wider world when first pitching his first contribution to Doctor Who. By the time this second story of Season 16 - or 'The Key To Time' arc - was transmitted, Adams' other work for the BBC - The Hitchhikers Guide to the Galaxy - steadily became a sensation, and eventually a global phenomenon. Anthony Read was responsible for editing Adams' scripts into a makeable BBC production. He also made it build on The Ribos Operation, in developing new companion Romana. She was only the second Gallifreyan to assist the Doctor, after his own granddaughter Susan. The story also had to present a different kind of mystery over which item was the segment of The Key to Time. Later on, Adams would take over from Read, and oversee Season 17 (which suffered especially from industrial strikes). Eventually, he realised he could not focus on both primetime TV, and further contributions to his 'baby boomer' Hitchhikers. Such was Adams' disconnect from Doctor Who, that none of his three major stories were adapted until very recently. (However he did introduce close friend, and second Romana, Lalla Ward to her eventual husband Richard Dawkins). Shada was the last of those three, but hit bookshelves first, with the aid of Gareth Roberts. More recently in 2015, the much-loved City Of Death was also converted into a richly detailed novel. This new effort has the same author as City, in the form of experienced writer James Goss. Although The Pirate Planet was four episodes long, this book comes in at 400 pages plus - which is considerably more. Goss has clearly taken inspiration from Adams over the years, in becoming himself a successful author, and he decides to put as much of the original script (and related notes) as can fit. This means that this is one of the longest works of Who fiction, and it lacks the pace of action-adventure that is found in both the majority of the classic, as well as the modern, TV format. Yet, most who are familiar with the TV original must concede that whilst great fun, it is not the strongest production, and really could have done with an American TV budget. Pennant Roberts has done great work for other TV shows, but few would call any of his Who work first-rate. The cast were not all stellar in their readings, with Kimus, Mula and the Mentiads being decidedly bland. This production and acting hurdle is removed entirely here. The book does some excellent work in making the villains even more interesting. It gives them backstory, and motivation, that is rare to find in most Doctor Who books; and I include some of the best original novels in making that statement. The Captain is portrayed as a lot more intimidating, and macabre in design, as well as having a longevity which is mind-boggling. This also makes the subplot involving his subservience to Xanxia that much more emotive and engaging. The Polyphase Avitron becomes a much more intriguing monster, in contrast to the cod pirate parrot of TV. Goss evokes real sense of dread over the Captain's pet, and makes its lethal potential more credible and unpleasant in nature. Xanxia - otherwise simply known as 'The Nurse' - is expertly introduced into the narrative. She appears to be someone that could help the Doctor and Romana. How wrong their impressions of her turn out to be! When the facade has fully receded, there is one of Kimus' better moments, in terms of showing some steely resolve. Also good, is the use of novel 'budget' (and reader imagination), as the Nurse suddenly is adorned in royal robes, thanks to the unique nature of her existence. Mr Fibuli is a touch more likable than in the TV original, and there is little evidence of moustache-twirling cruelty, compared to his sneer and chuckle at the end of Episode Three. He has some inner thoughts that are very 'Everyman', and his brilliant engineering skills feel more layman too. Fibuli's constant awareness that he is replaceable - like any of the Captain's underlings - mean readers care for what fate befalls him. As it turns out, there is a heavy does of irony concerning this end-point, in conjunction with the final chapters' foreboding and tense action. Although my synopsis suggested the guards were respected, even admired, by the (mostly faceless) Zanak citizens, both this novelisation and the TV story frequently take pokes at them for being witless and predictable. All the same, they are not to be taken as completely benign, and do sometimes make a successful capture, or take out a do-gooder with a well-aimed shot. Of course, Goss seizes the opportunity to do some nice work with getting inside the heads of heroes as well, and that very much includes K9. The Fourth Doctor is relatively easy to write for, but few can really make him truly surprising and electric on page in a manner that the legendary Tom Baker could on-screen. Luckily, Goss is very much in that select group. The much-celebrated clash of "It is not a toy!" / "Then what is it for?!" is lovingly expanded on, and probably is the highlight of the entire book. There is plenty of good material for Romana too, as she shows promise that would make her a long-staying companion, and eventually do great things for both E-Space, and Gallifrey itself. She is quick to learn, proactive, and consistently helpful to the Doctor. This sometimes makes the much older time traveller rather defensive. At one point he convinces her to complete a massive timetable, but barely achieves the delay effect he wanted it to. Nonetheless, she still is made to appreciate the Doctor's genius and quick wits, when he is forced to think of a solution to both the threat facing the universe, as well as the key objective of locating the Segment. K9 is of course secondary to the interpersonal drama, but still a personality; one that has emotions concerning tasks, and opinions regarding those he encounters. His one word summations on his 'owners' would be "odd" and "logical" respectively. The metal mutt's inner thoughts are generally the more light-hearted moments of the book/audio-reading. And now, time to recognise just how good an audio release this is, for both casual fans, and die-hards alike. Jon Culshaw has never done anything routine, forced, or ordinary to the best of my knowledge, (perhaps with the exception of singing on Comic Relief Does Fame Academy). Even with the weight of ten CDs, or eleven-and-a-half hours of running time, he puts in a wonderful solo performance. There is especially good use of third-person/first-person blending, which means that listeners can be caught out, thinking Culshaw will be talk in his own steady and affable manner, when reading Goss' prose. Much of the music gives this long story clout too. There are subtle strands, and a much more bombastic sense of 'What's Next?' upon the close of another chapter. I however need to come back to my point on the page count/ running time. This is possibly a case of Goss just slightly getting the balance between quality and detail wrong. The first half of the book, whilst not totally ponderous, does feel slow on several occasions. There are some digressions that display Adams' wit, and thoughtful wonderment at a vast interconnected cosmos, but they do not all feel as organic as in the Hitchhiker's novels (which admittedly used a guide book as the framing device). Thus some passages/moments outstay their welcome. Most odd is the sense of a Season 22 story opening, in that the TARDIS crew take an age to land on Zanak, and get involved. Nonetheless, the final half of this novelisation - especially the final third - is so much more urgent and gripping. It particularly delights in improving on the somewhat absurd Episode Three cliffhanger, by having a homage to the modern-day use of TARDIS in-flight to save a falling victim. Also, there is a very funny moment where the Doctor, in deep, deep trouble, thinks how clever it would be to rig a hologram. Thus when he actually does it, it banishes all feelings of indifference over the implausible onscreen execution. One change I have more mixed feelings over, is the use of the 'Mourners' title, rather than 'Mentiads', which both sounded mysterious and ominous, yet also very funny depending on the particular dialogue context. At least there is much more back-story, and insight into their transformation, and also their "vengeance for the crimes of Zanak". Especially worthwhile is the detail on how Pralix's father was shot down, not long after he transitioned into being one of the select group. This means that the rather dour supporting character is now an angel of retribution, for both the planets and his own lost parent. There also is a change-up in making the Mourners mixed-gender, with at least one of them being female. This elder Mourner is given a few evocative moments in the narrative, helping reinforce how much more progressive Doctor Who was for women in the Graham Williams era, than it had ever been hitherto. In sum, this is a very important book for anyone trying to get more insight into the Tom Baker period of the show - one which has been analysed and critiqued for many years now. It has a sense of something old, but also something new, and deserves at least being explored in either print or audio reading, if not both. A compression of gems, that is indeed most rich. One should never meet their heroes, as you will only be disappointed in the reality. This is the basis for The Man Who Wasn't There, Big Finish's 23rd Short Trips story, which features the eighth Doctor and Charley Pollard. Somehow though, meeting your hero isn't a problem for the Doctor and Charlie, who are searching history for Charley's hero, Pieter Mon Marchè, an adventurous and fearless Victorian explorer. They have Charley's favorite book on her idol that chronicles his appearances across the globe, but whenever and whenever they turn up, expecting to find him, he is never there. They can't find him anywhere. They stumble across a drunk fake, and a 'representative' - but where is Pieter? Finding him suddenly becomes a race against time that is fueled by the wrath of the Time Lords, as not finding Pieter could impact the future of the human race. The Man Who Wasn't There, takes a very simple story and runs with it to create a cleverly written, self-perpetuating paradox, that becomes so grave that (much to the Doctor's joy) the Time Lords themselves feel the need to interfere, and start to ask him pertinent questions about Charley Pollard's very existence. Ian Atkins has come up with a great idea, one that I'm surprised hasn't been used in Doctor Who before. The story uses the TARDIS and time travel to great effect as our heroes try to track down the legendary adventurer, but only seem to find themselves further and further from the man himself. India Fisher narrates the story expertly, exploring her own character and giving us a great version of the quirky eighth Doctor. The final reveal doesn't particularly come as any great surprise, but it is a fun and twisted path getting there. The story itself is only a brisk forty minutes long, but is packed with great moments. The Man Who Wasn't There comes highly recommended. The Man Who Wasn't There is available from Big Finish as a digital download now.